O’Neill and Associates has one mission: to help you reach the people critical to your business goals. Whether you want results with the media, City Hall, Beacon Hill, Capitol Hill or your customers, we can help you. In 1991, former Lieutenant Governor Thomas P. O’Neill III envisioned a new paradigm for the traditional lobbying business by integrating communications and government relations to create a better brand of public affairs—one that achieves the greatest reach and the highest results. He assembled seasoned government and public relations professionals with diverse backgrounds and created a model company. Our reach extends throughout Boston, New England and the nation. In your search for a government relations or public relations firm in Boston, Washington D.C. and elsewhere, consider one equipped with a full range of integrated services including media relations, lobbying, crisis management and more. O’Neill and Associates offers a breadth of services, combining government relations and communications to develop a comprehensive action plan that addresses your specific business situation. We look at your opportunity from numerous vantage points because our professionals have been there, working in the public and private sectors, reporting on news events and establishing valuable contacts. Our team is versed in diverse industries critical to the New England economy. We understand how government, business and the media work, and we make this experience work for you. O’Neill and Associates helps companies build brands, communicate with government officials, find new business opportunities and survive crisis situations. Your business is unique. You need unique reach and results. Our clients have full access to the resources of our senior professionals, whose careers in media, business and government present an unparalleled network of relationships upon which to draw. Unique challenges require unique solutions. Our campaigns are tailored to meet the individual needs and goals of each client, drawing upon the diverse expertise of our communications and government relations teams. 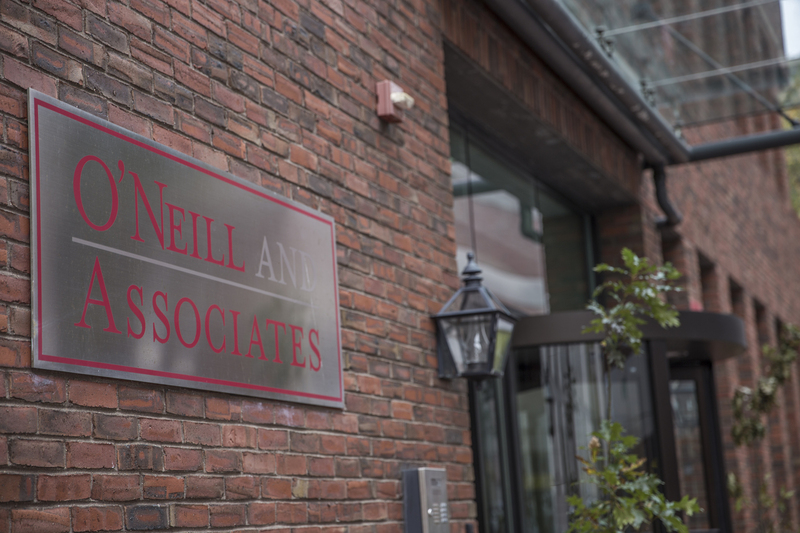 O’Neill and Associates’ clients benefit from the strategic advice of the most senior members of our company as well as the energy of junior staff, never substituting one for the other. We work as an extension of our clients’ communications, business development and public affairs departments to advance our clients’ goals. Through weekly reporting, internal interviews, and media summaries, O’Neill and Associates’ clients enjoy a constant flow of two-way communication in order to ensure that expectations are not only met but exceeded.